They ride high in the saddle in Tombstone. Cause a man’s gotta do, what a man’s gotta do. And what most men and a lot of the women in this historic Wild West town gotta do is dress up like cowboys, gunslingers, dancehall girls and regular town folk and party like it’s 1889. 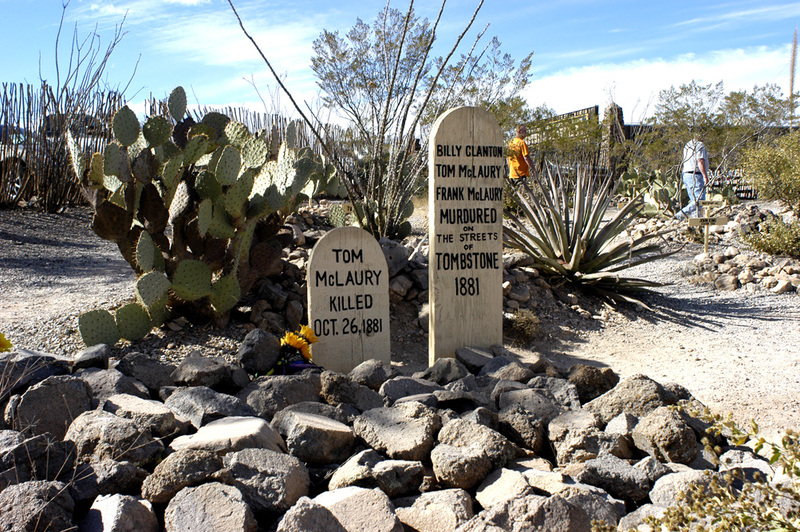 Tombstone is a dot on the map of southern Arizona, about 40 kilometres off the 1-10 that runs through a sun-baked landscape that anybody who has ever watched a Hollywood cowboy movie would instantly recognise. It’s a hot, dry, inhospitable landscape. You don’t come across Tombstone by accident. You have to be heading there and the attraction is its name – one of the best known of all the old Wild West towns. It’s redolent of outlaws and lawmen, the site of the O.K. Corral and its infamous gunfight. And it draws tourists from around the globe who find, once they reach this otherwise unprepossessing place, that it’s a lot better than they were expecting. And a lot more fun. Tombstone was founded in 1879, quite late for an Old West town, and its fortunes were built on silver mining. From 1877 until 1890, local mines produced more than $US50 million in silver bullion. In the heady days of the 1880s, Tombstone had a population of 14,000 and proudly boasted four churches, a school and two banks. A little less proudly perhaps, it also had 110 saloons, 14 gambling halls and numerous brothels. The miners and cowboys, who weren’t above regular cattle rustling forays into Mexico, kept the town jumping. The glory days lasted for little more than a decade, however, when rising water levels in the mines made extraction unprofitable. 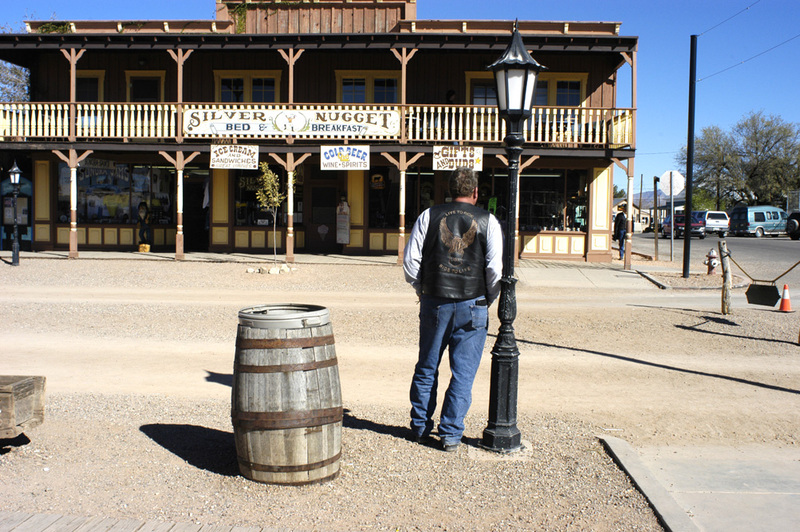 By the late 1890s, Tombstone was virtually a ghost town. It was tourism that uncovered the gold in thar hills. When the inhabitants began to leave Tombstone for more economically viable climes, much of the Old Town was boarded up and left undisturbed under the baking desert sun. Tourism began to take off in the mid-20th century; luckily, most of the main thoroughfare, Allen Street, remained intact. 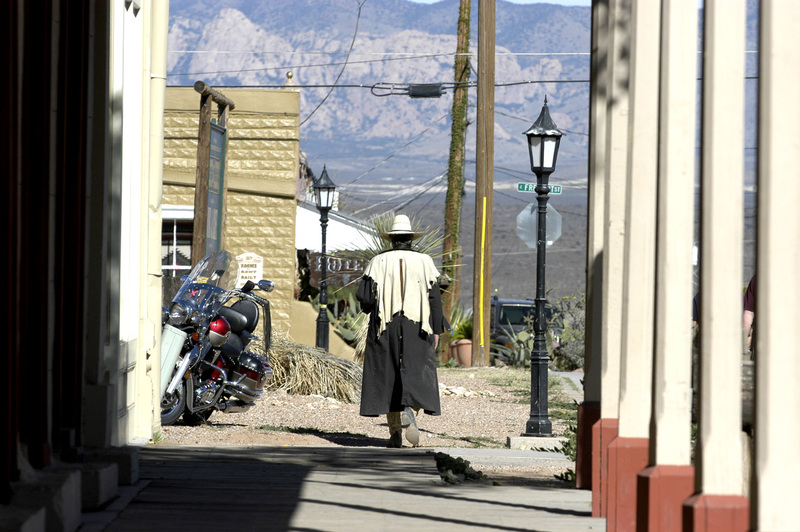 Nowadays, some 500,000 tourists a year come to Tombstone, which has a population barely exceeding 1500 people. The Bird Cage Theatre is a favourite. In the 1880s, the saloon and gambling hall operated 24 hours a day; its name comes from the small mezzanine rooms overlooking the main hall where prostitutes plied their trade. Whiskey-fuelled brawls regularly took the place apart and gunfights barely raised an eyebrow but the main claim to fame was a poker game, with a minimum $US1,000 buy-in, that ran for eight years without a break. When it was closed in 1889, the Bird Cage was boarded up with all its contents still in place and remained that way until it reopened in the 1930s. Most of the interior, from the wallpaper, light fittings and red velvet curtains to its magnificent cherrywood bar, is original. It helps that the highway connecting the I-10 with areas to the south, skirts Allen Street; the dusty red dirt street is closed to regular traffic. Visitors dodge horses, carriages and stage coaches while the locals, dressed in character for the Wild West, provide Kodak moments. 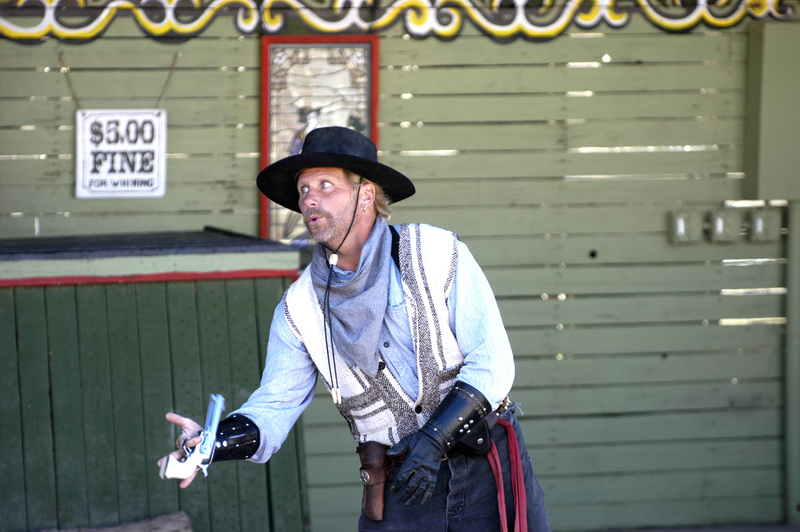 Each day at 2pm, there is a re-enactment of the gunfight at the O.K. Corral, where Doc Holliday, Wyatt Earp and his brothers went up against a bunch of ornery outlaws in October 1881. Allen Street is lined with museums, saloons, restaurants with staff dressed as dancehall hostesses, and – inevitably – lots of gift shops. Even the Boot Hill graveyard, which operated from 1879 until 1884, is carefully preserved and tourist-friendly. It’s easy to get a little sniffy about this kind of pasteurised history, a Westworld where nothing goes wrong, where gunfighters have a jauntily self-mocking tone beneath their carefully-cultivated menace (so as not to scare the little kiddies), and the tourists play along with the joke. 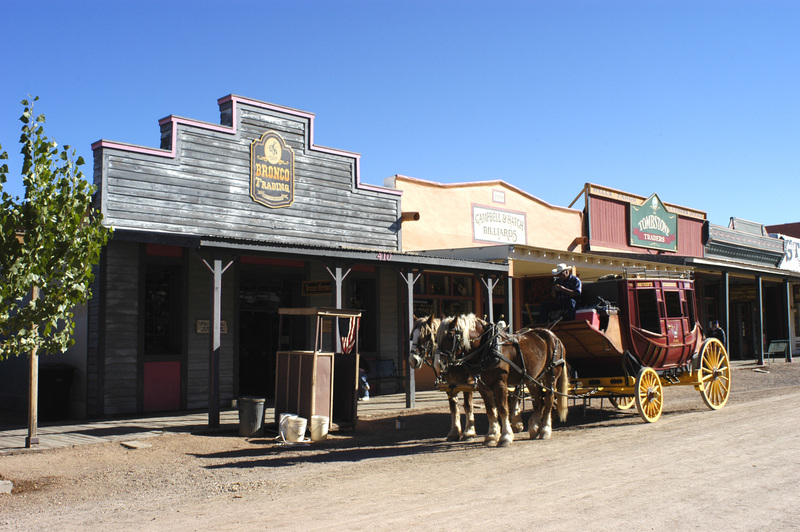 It’s a theme park to be sure but Tombstone has a careless charm that gets under the skin and gently eases away any niggling doubts about historical authenticity. Tombstone, a town that would otherwise have quietly faded away, finds its fortune in acting out the past. In taking history out from under its bell jar, everybody goes home happy at the end of the day. Which is infinitely better than going home in a pine box. Another fabulous romp through history!